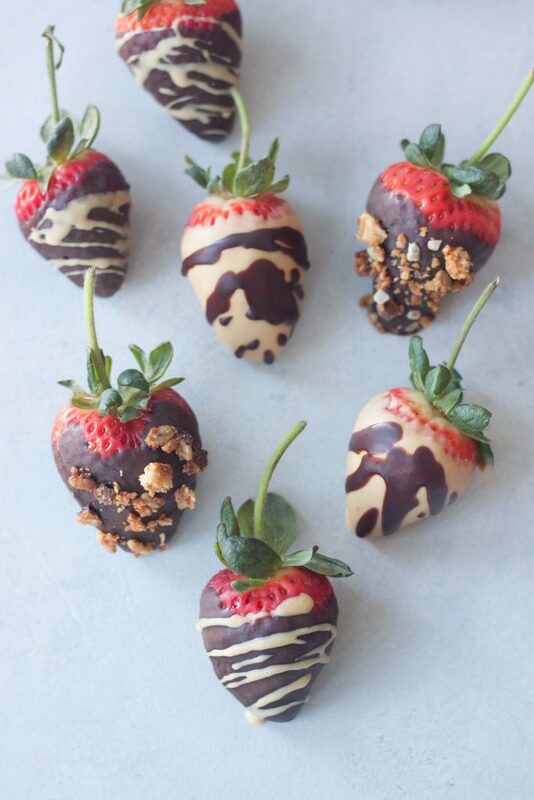 Valentine’s Day is right around the corner and while I like to make desserts and treats right now I’m craving just simple chocolate covered strawberries. 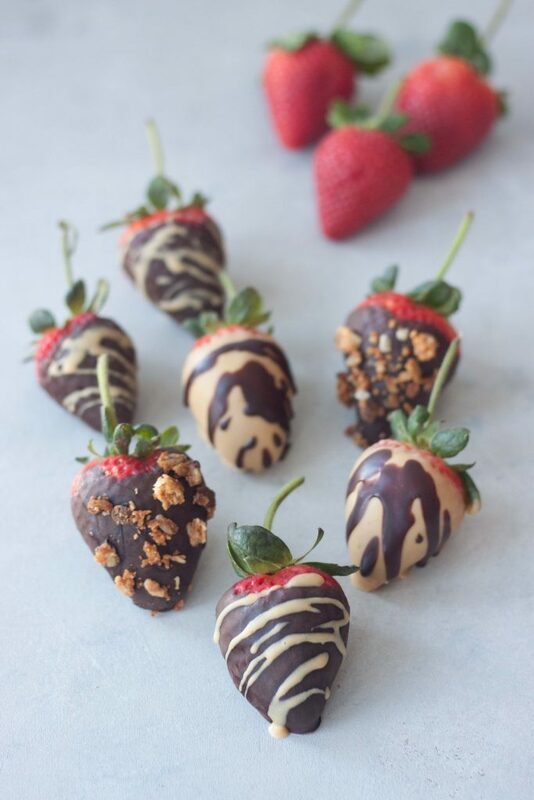 Ok maybe I got a little fancy and went with Peanut Butter and Chocolate Covered Strawberries because I also love peanut butter! Things are busier then usual this year and this years focus was balance and joy, enjoying the little moments. So while I focus on that, life, and the opportunities that have come up this year I didn’t get any desserts or Valentine’s treats made and photographed for the blog. As I said all about balance and joy and I wasn’t going to stress out adding them to my schedule with the amazing opportunity that came up to host a Healthier Game Day Snacks at Athleta Mall of America last weekend while the Super Bowl took place here in my hometown. I’m trying to catch up on emails and things that I had to set aside last week, still have the girls activities, with S’s 5 days of soccer a week, A’s gymnastics and dance, trying to get caught up when they are there and not staying up all hours of the night. I also teach a class at A’s school one morning a week and I have to help her get her Valentine’s ready for next week. 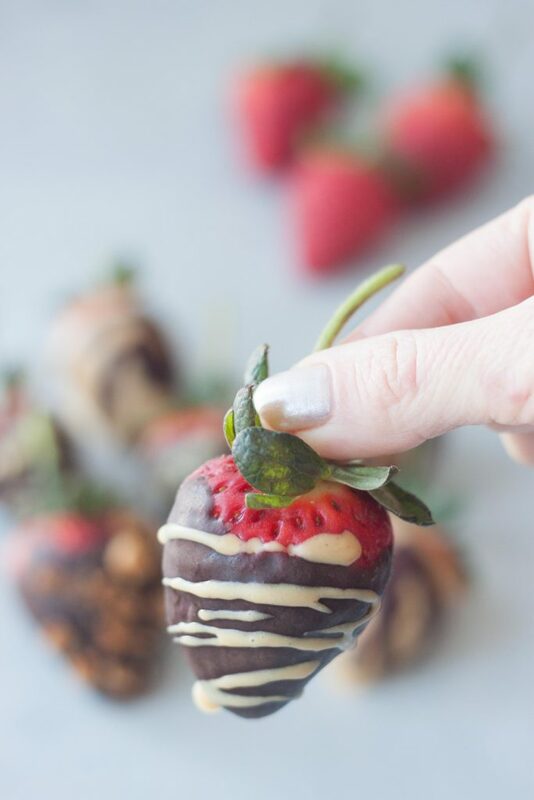 With all that I did have 5 minutes to make these simple and delicious Peanut Butter and Chocolate Covered Strawberries that the whole family loved and I even have time to make them again, and maybe even again! Funny thing about these strawberries is I don’t usually buy the fancy jumbo ones but when I was at the store they didn’t have the regular ones and they subbed these for $2.50!! Yes I got 16 jumbo long stem strawberries for $2.50, so I got 3 packages. They’re so beautiful I almost don’t want to eat them but tried one and they’re so juicy I can’t stop! So simple to make and with great ingredients they’re a healthy treat, there is no excuse not to make them. They’re even great for kids to make, the girls like to help these and even if they aren’t perfect looking they still taste just as amazing and it makes them happy! You can even have fun and add sprinkles or toppings. Keeping with the peanut butter cravings I used Salted Peanut Chocolate Clusters! Valentine’s falling on a Wednesday this year we have activities so I’m hoping to make something special for the girls for breakfast and have a glass of wine at night, maybe a chocolate strawberry or two. We usually don’t do much for Valentine’s Day, other then usually making a nice dinner and me using it as an excuse to make cute food in the shape of hearts like pancakes and sandwiches, pink smoothies, and enjoy all the chocolate. 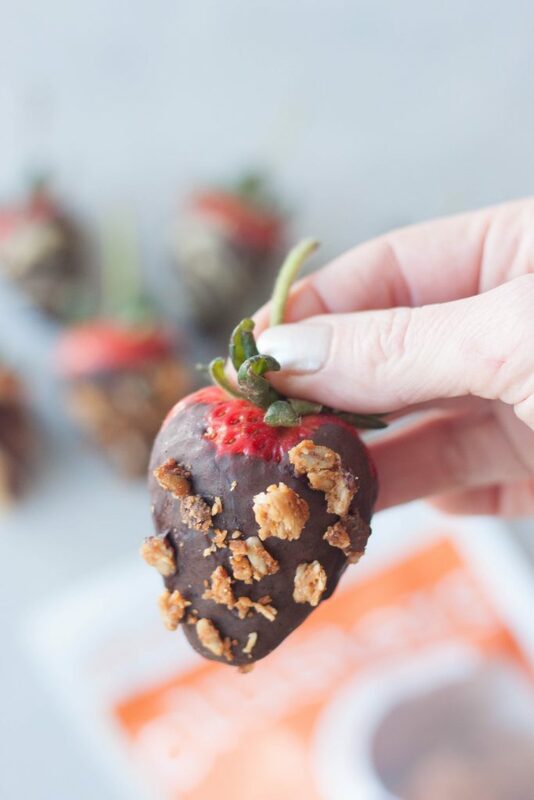 Chocolate covered strawberries just got an upgrade with these Peanut Butter and Chocolate Covered Strawberries! 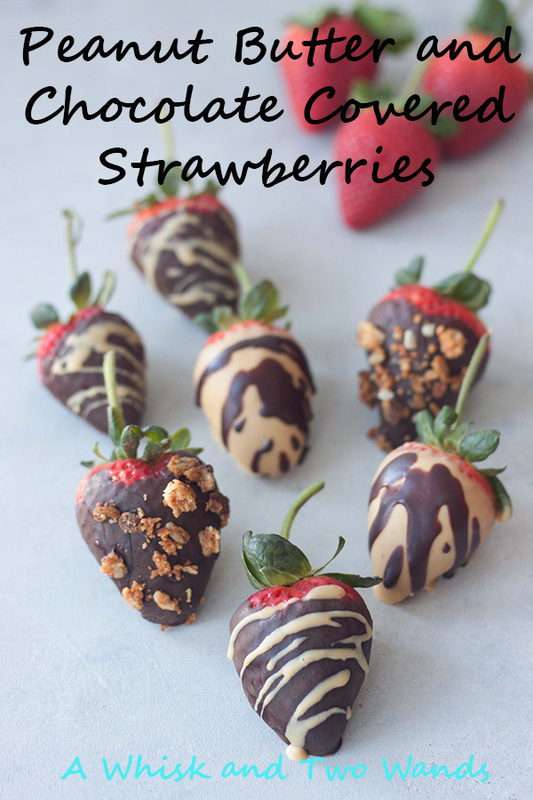 Quick and easy to make they make a healthy treat perfect for Valentine's Day or any day! Line a plate or baking sheet with parchment paper and set aside. In a small bowl mix together Chocolate Coating ingredients until smooth. In another bowl mix together Peanut Butter Coating ingredients until smooth. Dip strawberries in coating, stopping just before the steam. Let excess drip off and place on the parchment paper. Repeat with remaining strawberries, drizzle additional coating over top if desired. If wanting toppings add while the coating is still wet. If you want to double dip make sure they are set before dipping again. Place strawberries in the refrigerator to set, about 5 minutes, or until ready to enjoy. Well I would sure love it if my hubs made these for me next week or any day!